Neuchatel, 25 July 2012 - In response to the ever growing demand for miniaturization and extended battery life, CSEM has developed a new transceiver platform: IcyTRX. 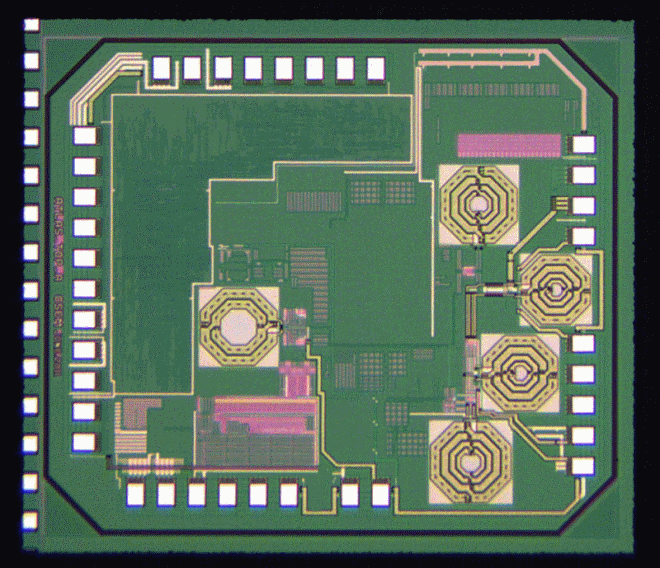 It consumes less than 10mW and is ideally suited to ultra-low power RF applications such as Bluetooth low energy, WirelessHART, and IEEE 802.15.4. Short-range wireless applications are increasingly focusing on the 2.4 GHz frequency band due to its world-wide availability and extended data-rate compared to sub-GHz frequency bands. Applications range from process control and home automation to hearing aids, wireless sensors, and medical im-plants. However, this higher frequency is generally also more power hungry, and many RF transceivers on the market today were developed for Bluetooth, Zigbee, etc. and are not optimized for low power-consumption. New applications like body-sensor networks, medical implants, and process control appli-cations are far more demanding in terms of miniaturization and battery life. CSEM's new IcyTRX platform has been designed with the goal of reducing power consumption well beyond the state of the art, as well as allowing the use of small coin cell batteries, thus extending battery life and miniaturization far beyond that obtainable today. In addition to market-leading power consumption of <8 mA at 1.2 V, IcyTRX offers a highly integrated design avoiding external matching components, and yielding a very small sub-2mm2 footprint and a variable data rate of up to 2 MBits/sec. IcyTRX is integrated into a standard digital 90nm CMOS process and is designed to exceed the specifications and requirements of Bluetooth Low Energy, the physical layer of IEEE 802.15.4, as well as proprietary standards. IcyTRX is available as a silicon-proven IP and under license for integration into RF SoCs. Samples are available now. A new ‘metamaterial’ prevents electromagnetic waves from reflecting backward, pointing the way toward computer chips that move data with light.